Per salutare questo challenge ho creato questa card da appendere con un timbro che mi piace tantissimo che si chiama New Year Sakura Tilda che ho colorato con i Distress Ink. 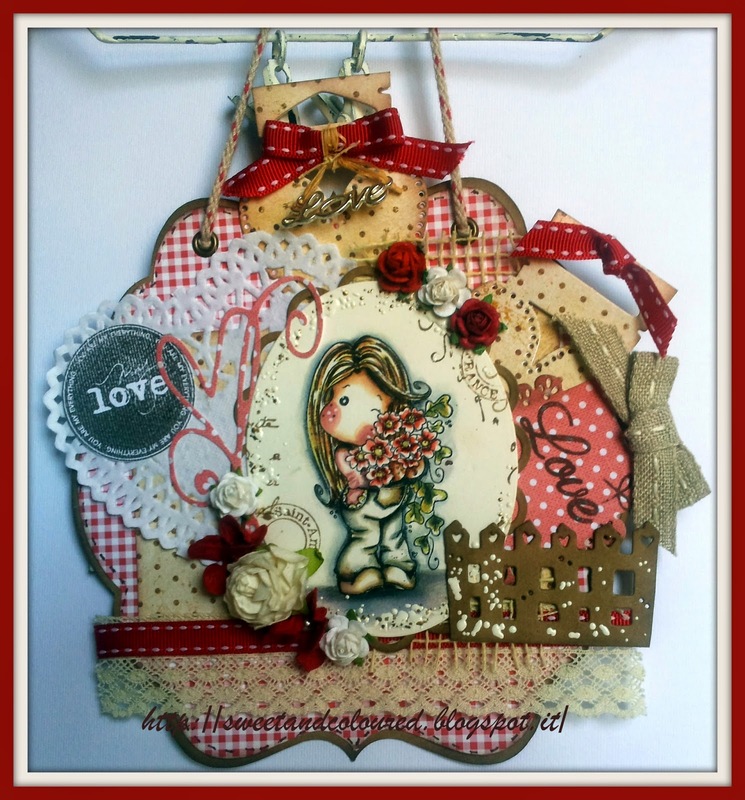 Per abbellimento ho messo il nastro, merletto, rose, fiori , charm con scritta Love,spago. Vi auguro una bellissima domenica..... a prestissimo!!! una chicchina!! sempre piccole opere d'arte! 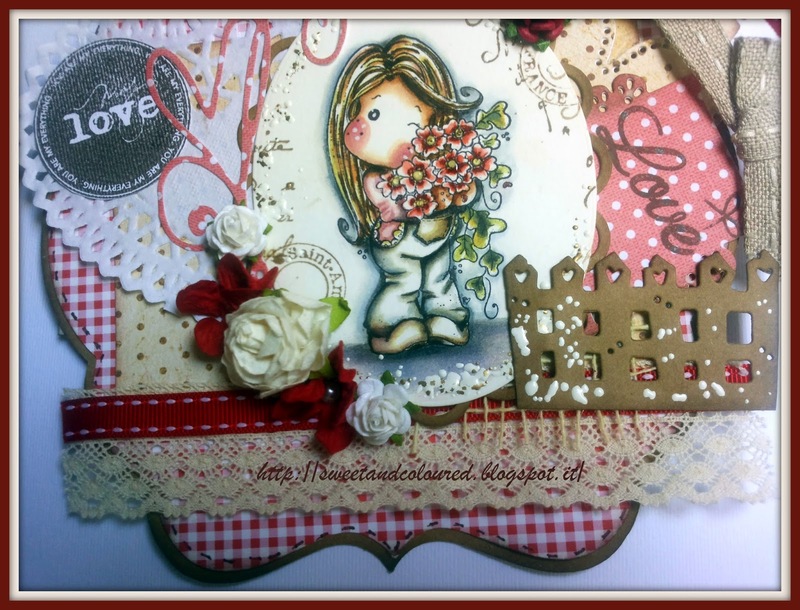 Absolutely gorgeous, thank you for sharing with the Sweet Stampin Challenge. Oh my! This is absolutely gorgeous! Love all the fun elements. And that sweet image is colored beautifully! 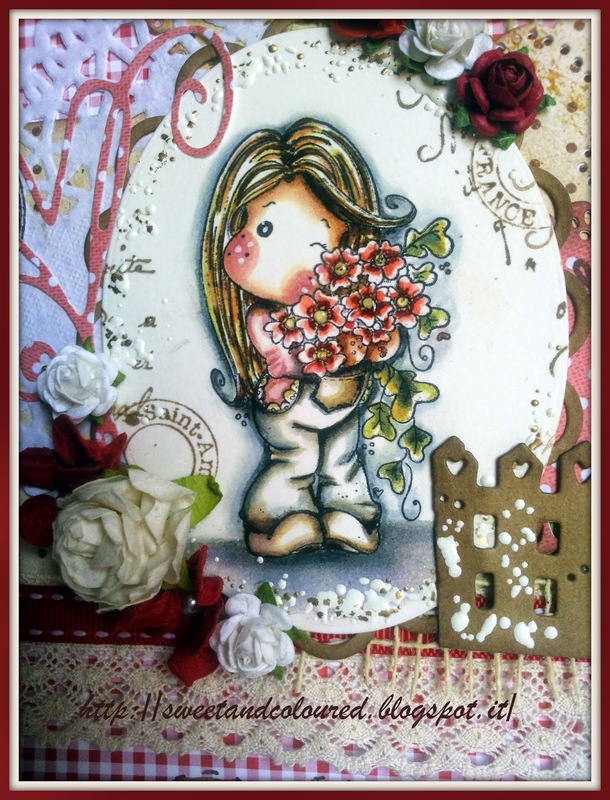 Thank you for participating in the Sweet Stampin' For a Friend Challenge! 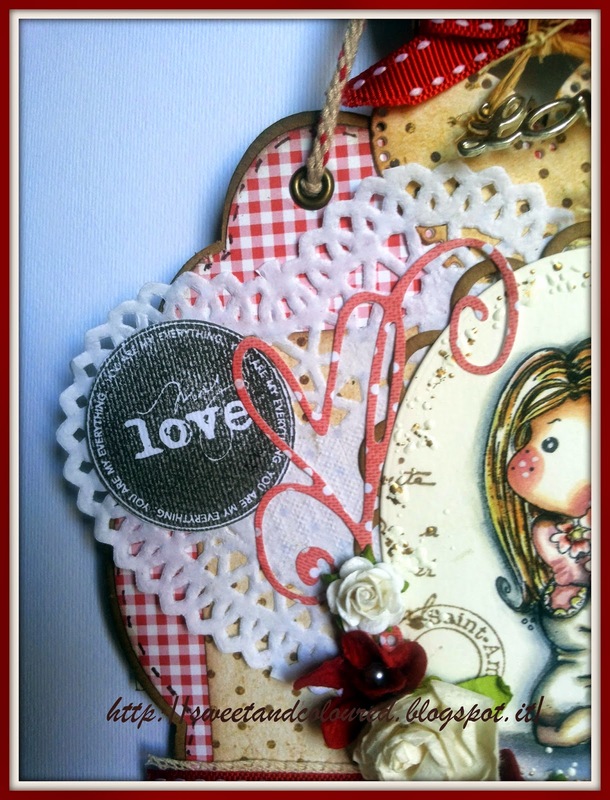 Thanks for sharing with us at Sweet Stampin' for our "For a Friend" challenge. Love your creation.. It's stunning!